ACE Info Links ACE Tickets & Con Rules ACE Location & Hotel ACE Events ACE Special Guests ACE Artist Info ACE Vendors Friends of ACE The ACE Vault! 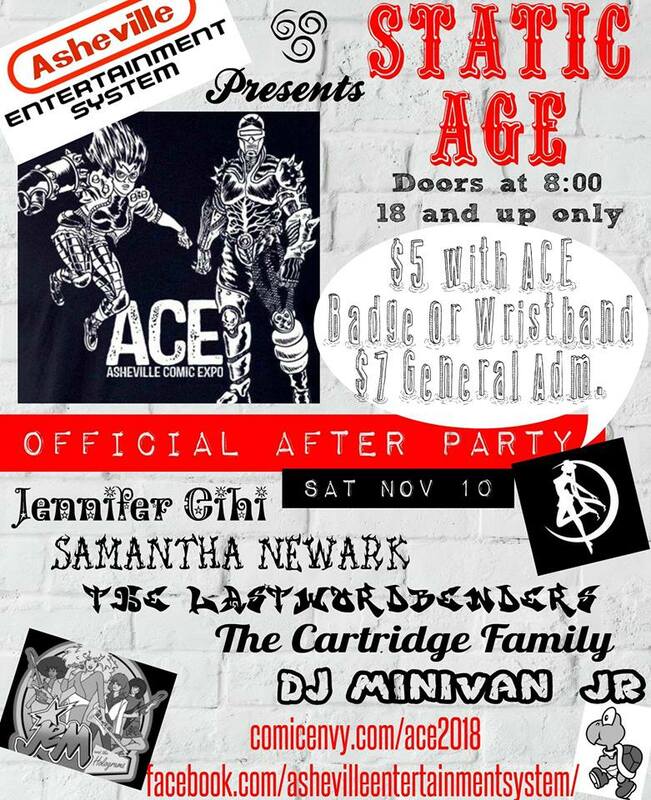 November 10th after ACE! Doors at 8pm! THIS EVENT IS 18+ ONLY! Jennifer Cihi / Last Wordbenders / Samantha Newark / The Cartridge Family / DJ Minivan Jr. Comic Envy is the largest, family-friendly Comic Book Store in Asheville, NC! We have been serving our local nerd community for eight years, and are always looking for new opportunities to help grow our love of all things pop culture! See what our great customers are saying!